The government of Nepal has finalized and approved the Incentive Rule Book to promote MICE tourism and has already put it into implementation. 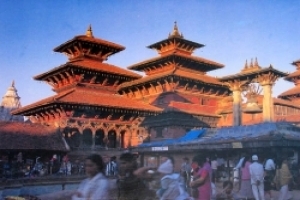 Global Asia Tours and Travel (P) Ltd, Kathmandu, is the first travel company to bag the cash incentive of Rs 500,000 (Eqv. to US$7500) for promoting MICE tourism. The award was given at the ministry of tourism. This is probably the biggest cash award given to any tourism organization promoting meetings tourism. 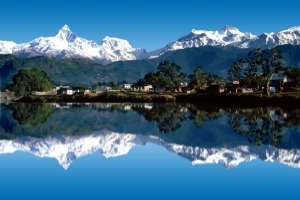 Global Asia Tours and Travel is a leading tour operator promoting culture, nature, adventure, and MICE tourism in Nepal. Earlier, some technical delays had occurred to formulate its directives and criteria. Mr. Mahendra Raj Paudel Henny, Director of Global Asia Tours, expressed satisfaction over the government decision for the recognition of their contribution to promote MICE tourism in Nepal. “This has really encouraged us to further promote MICE tourism in Nepal. Nepal can be a very important destination for meetings tourism,” stated Mr. Paudel, “[It] is high time government pay serious attention in building infrastructure for meetings and convention tourism. “We would like thank [the] Ministry of Tourism, Ministry of Finance, national assoications, media, associate counterparts (domestic and overseas), hotels , travel agents, valued clients, and, of course, fellow Skalleagues.